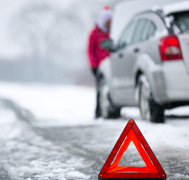 The winter weather can wreak havoc on vehicles. But how do you know if the problem is worth repairing? Historically, more Canadians buy new vehicles in the spring and summer months than in fall and winter, so if you’re thinking of trading your car, now may be the best time to do so. This may require some research, but if you can determine what trade-in value you’ll get for your car, it can help make your decision. Cars are a depreciating asset, so the longer you wait to trade it in, the less you might get. But they also reach a point where the amount tends to taper off. So, if you’ve had your car for three years and you bought it new, you might get more value for it than if you’ve had it for six years. But if you’ve had it for six years already, it may not decrease much more in value. To determine how much your car could garner, ask at a few different dealerships and compare the amounts. You’ll also want to consider the extent of the cold weather damage. Is the problem something that can be repaired easily, or will it cost more than the car is worth? If it’s an easy, one-time fix, it might make more sense to secure financing and get the car repaired, but if it’s a series of on-going problems, or will cost more than a new (or new-to-you) vehicle, it might be better to trade it in. How much equity do you have available in your car? Or how much is left to pay off? If you’ve recently paid it off, or don’t have much left, it can be a good time to trade it in as you’ll likely receive a good price to use as a down payment on a new vehicle. But you also might not want the extra car payments that come with a new vehicle – especially if your current one is paid off. If your car is paid off, there’s another benefit to keeping it for the equity. Some lenders will extend financing based on your vehicle. For instance, Prudent Financial if you have a paid-off car that’s less than six years old, you can borrow with that vehicle. The odometer reading can also be a good gauge of when it’s time to trade in your vehicle. The best price for a vehicle can come when it’s around the 45,000 to 65,000 kms. Comparing value – especially if you are considering trading in your car through a dealership vs. the private party value. Shopping around to find the best rate for a car financing loan. At Prudent Value Cars, we can help you decide if it’s the right time to trade in your vehicle and discuss financing for repairs, or a new car. Contact us today for a free consultation. Call 1-888-852-7647 or visit www.prudentvaluecars.com.